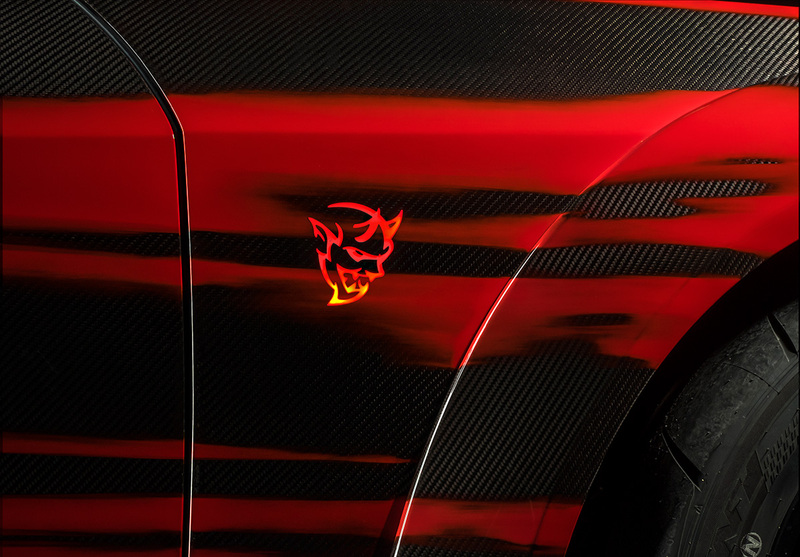 The quarter-mile slayer formally known as the Dodge Challenger SRT Demon isn't exactly the sort of car Colin Chapman would have found appealing. 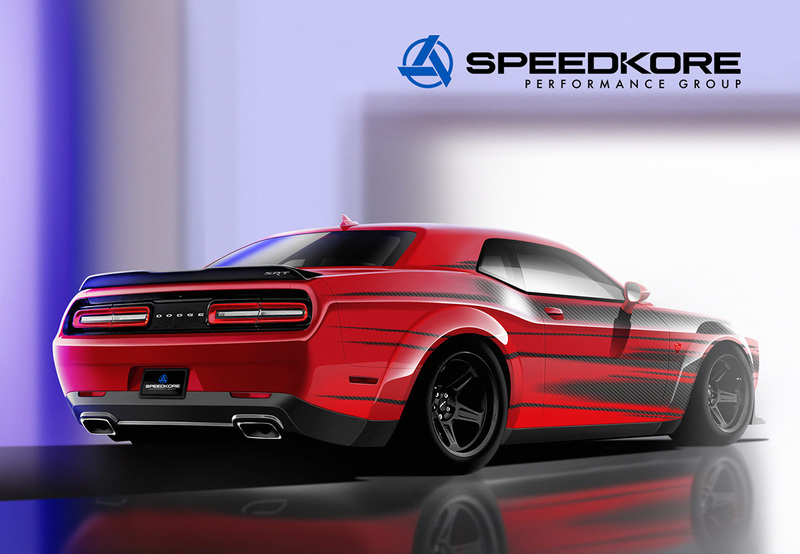 But we'd like to think the Lotus founder would have approved, even if begrudgingly, of SpeedKore Performance's SEMA-bound, carbon fiber-bodied Dodge Demon. It may not be simplified, but it certainly adds lightness. After all, it's not like the Dodge Demon really needed much in the way of more power. Not with its supercharged 6.2-liter modified Hellcat V-8 cranking out 840 horsepower on racing fuel; hell, even its premium-octane rating of 808 ponies seems liable to stretch the limits of what a two-wheel-drive production car can handle. (At least, one that doesn't hail from Maranello or Woking.) But the Challenger is a muscle car, not a supercar; slicing weight is less of a priority than adding power. As such, the Demon packs a rather portly curb weight of around 4,300 pounds—even with the seats removed. That's where SpeedKore comes in. This Demon is far from the company's first dalliance with rebodying a Mopar muscle car in carbon fiber; after all, they also were responsible for the 1,650-horsepower 1970 Dodge Charger known as "Tantrum." (Full disclosure: I drove the Tantrum for about 10 minutes earlier this year while testing Mercury Racing's new smallblock V-8. It was raining. The car has no traction control. I was terrified.) 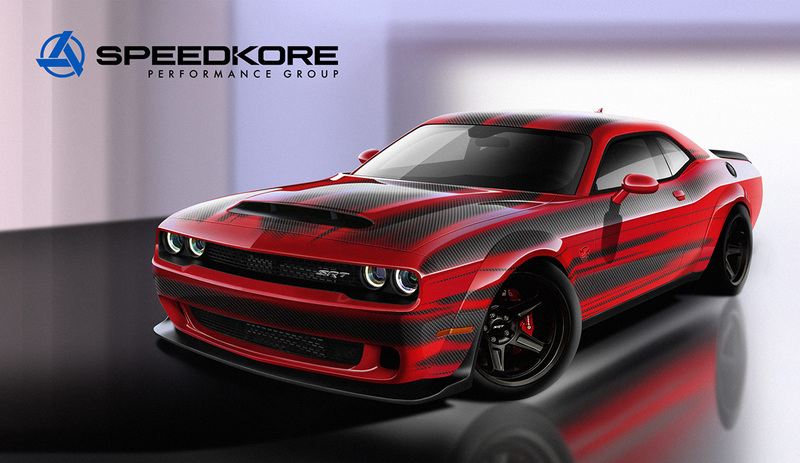 For the lightweight Demon, SpeedKore whipped up a set of OEM-quality carbon-fiber body panels to clad this Mopar monster in, bringing the weight down an unspecified—but presumably noticeable—amount. The company says it'll reveal more details of the carbon-fiber body kit at the show next week. Oh, and if that weren't enough reason to spur you to check out the car at SEMA this year—assuming, y'know, you happen to score a way inside, as it's not open to the public—SpeedKore also announced that the car will be formally unveiled by Sammy "I Can't Drive 55 But I Can Drive My Cream-Colored LaFerrari" Hagar. 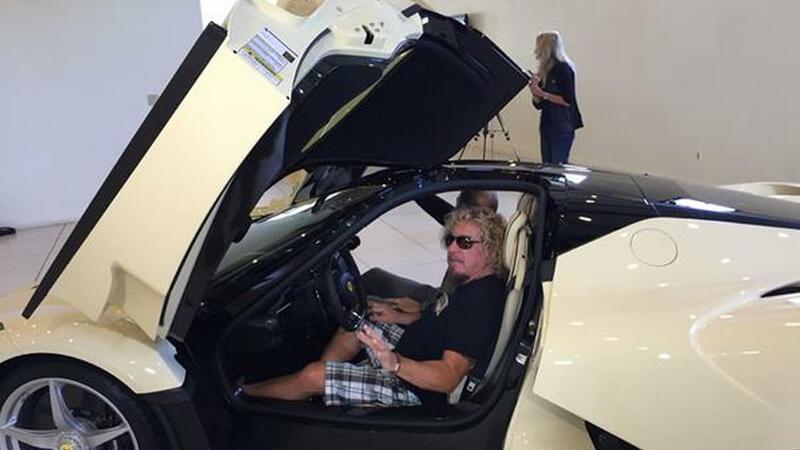 No word yet on whether David Lee Roth was originally asked to present the car.